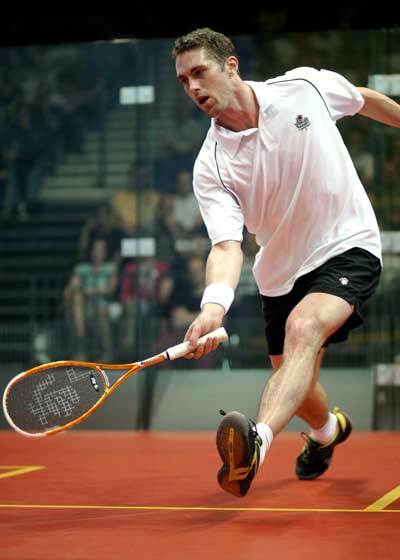 Ashaway, RI — Ashaway Racket Strings has extended its long-term sponsorship agreement with squash great David Palmer, the company announced today. The two-time World Open Champion has been an Ashaway sponsored player for more than ten years, and has recently begun playing with the company’s new PowerNick® 19, the world’s thinnest squash string. The terms of the agreement were not disclosed. Currently ranked number 15 in the world by PSA, Palmer has been Australia’s top squash player for most of the past decade. In addition to his two World Open crowns in 2002 and 2006, and four British Open trophies, he has reached the finals in 53 tournaments since turning pro in 1995, and claimed some 26 tour titles. In a remarkable show of consistency, in August of 2010 Palmer completed ten full years in the world’s top ten!